1. Start your day with a nutrient-rich beet smoothie. 2. This yummy beet salad comes via my sister Sharon and it is simply delicious. 3. Want to amp up your protein? Try this roasted beet and lentil salad. 4. 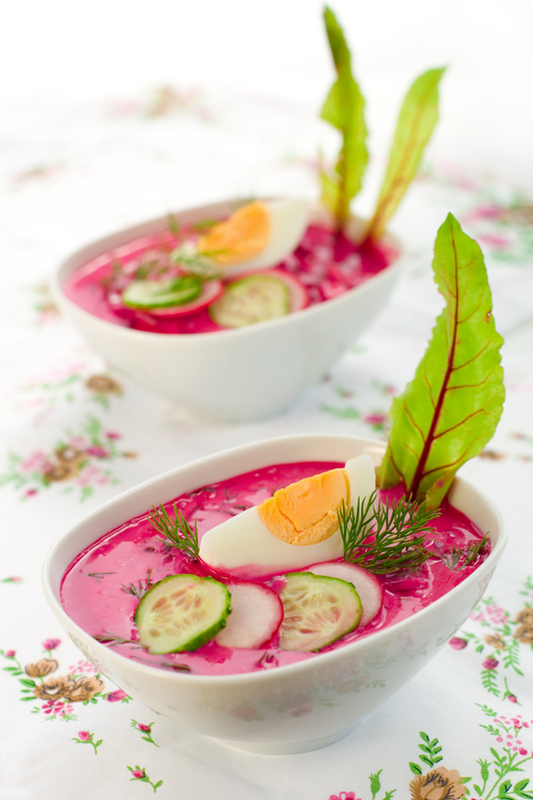 This chilled orange beet soup looks so refreshing. I love the addition of egg (very Korean! ); and it’s also a great way to use your seasonal cucumbers! 5. I am totally making this beet, arugula, and goat cheese sandwich today. YUM. 6. And maybe I’ll have some beet chips alongside my beet, arugula, and goat cheese sandwich. 7. My mother totally gives me the hairy eyeball whenever I compost produce greens. 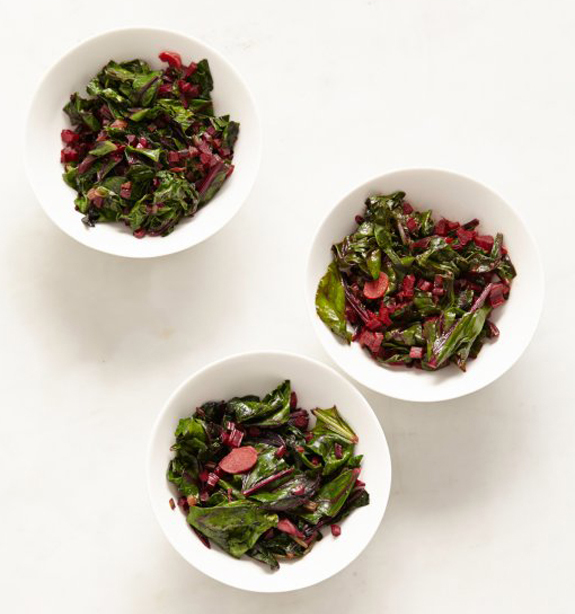 Here’s a simple recipe for sauteed beet greens. 8. Time to break out the ice cream maker for this 5-ingredient beet sorbet.